There are numerous differences between guitarists. No matter how steeped or hollow their experience is, they are unique in their performance and capabilities. But there is one thing they all have in common – they take an everlasting journey into the world of musical equipment. They go through dozens of devices before they find the ones that work perfectly. And then a new model comes out and everyone dives into it. This is an interminable process that leads to refinement of one’s craftsmanship. You might be just starting out or be a professional already. You might have experienced a number of effects pedals or you might be a novice in this universe. Regardless, if you are here, you are probably searching for the wah that works. And if you are, welcome, my friend. Today we are going to discuss all the details of Rocktron Classic Wah Pedal and try to figure out if it works as well as it claims to. Do not be scared, I will give you comprehensive information about this bad boy so that you know if it suits your needs and preferences. Shall we begin? Rocktron Classic Wah Pedal is something everyone will enjoy. It takes the tone of classic pedals such as Vox and Dunlop and adds a bit different touch to it. It is not as typical as others and that is definitely its selling point. This bad boy is affordable, but the quality is not compromised for the price. Its construction is comprised with metal enclosure and top-grade interior. This way you can count on it for years to come, since it will last through rigorous stage performances and abuse. Its design is pretty basic, but most of the wahs are like that. Rocktron Classic Wah Pedal has a status LED, which indicates whether the unit is operating or not. This means that you will not have to play a guessing game on poorly lit stages. What is more, it has Rocker Tension Adjustment, which allows you to modify its resistance and change the way it feels under your feet. This way the pedal accommodates your preferences and eliminates the chance of creating uneven tones. Rocktron Classic Wah Pedal has a battery compartment to make your life easier and simplify the process of changing the batteries. It can also be powered with an adapter just in case you do not want to waste your money on the former. This makes this pedal even more flexible. It has an input and an output to connect it to the rest of the chain and maybe pair it with other pedals as well. There are preferable places for wahs, but still you have the freedom of choice and limitless possibilities if you let your creativity have its way. Rocktron Classic Wah Pedal will make your job easier due to such simple operation and win a permanent spot in your rig. What’s not to love! 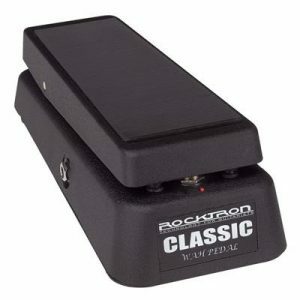 Rocktron Classic Wah Pedal does not belong to the category of wah pedals that have abundant controls and tweakable options. It does not offer knobs that adjust various parameters meticulously. However, most of you are probably already used to such configuration. All we have here is a footswitch that is mounted just under the rocker itself. You have to press it quite hard in order to trigger the circuit and activate the unit. And once you are done with your wah-wah or wacka-wacka sounds, you can repeat this motion and turn this fella off. It is as simple as that. The modification you have on hand lies in your movement. Depending on how you alter the frequencies with your foot, you receive different results. That is probably why wah pedals are so limited in terms of control. But if you consider the price of Rocktron Classic Wah Pedal, you will understand that you do not exactly have the right to complain. What makes up for the lack of control options is the sound. You can try and find faults with other parts of Rocktron Classic Wah Pedal, but it will be really hard for you to bash its sound. Why, you might wonder? The simple answer is that it is simply magnificent. But you are not here for simple answers. This pedal has musical, deep tone that is neither sharp nor harsh. Rather, it can emit smooth and silky wah effect that is different from what you have heard before. It handles all the territories of various frequency ranges perfectly and covers the whole spectrum with ease. Its tone is refined and scrupulous, which means it will transfer such character to your overall performance as well. Rocktron Classic Wah Pedal adds body and texture to your sound and allows you to explore everything beyond our mainstream perception. Once you stomp it and start playing, you will forget the small price you paid and get surrounded with dimensional wah sounds. It has huge potential, just like you, so experiment with it non-stop and let it unveil your true nature as a musician. When it comes to choosing the right wah pedals, it is always hard to make up your mind. One day you find a unit that you fall in love with, then the next morning you come across another one that is even better and your confusion never seems to untangle. 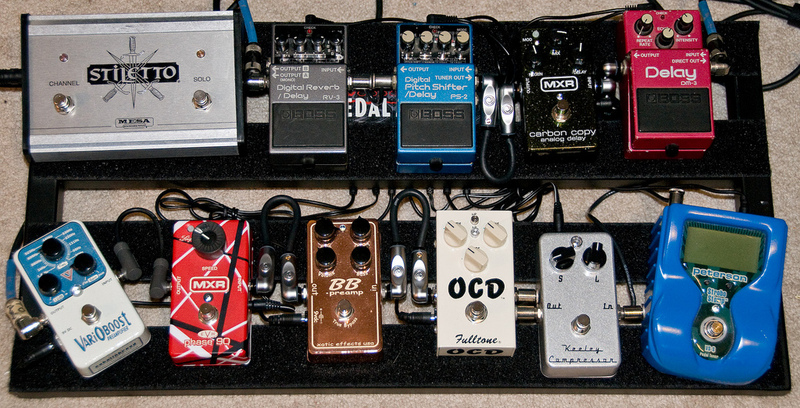 The fact that effects pedals are very subjective does not make it easier. But if you consider the experience of others and listen to their recommendations, you will eventually find the perfect device. And who knows, maybe Rocktron Classic Wah pedal is the one. Do not forget that it is the process of trial and error. If something does not work for you, do not get disappointed. After all, it is just a musical equipment and can always be substituted. I really hope that this article helped you make a final decision or at least introduced one of the options thoroughly. Good luck!